Footage received by Colombo Telegraph shows violence unleashed during the wee hours of Saturday, when a bunch of Police officers threaten and assault a driver of a car on Duplication road. The recorder of the footage had also been assaulted and forced to delete footage following the discovery by the Police officers that their actions were caught on camera. Eye witnesses to the incident told the Colombo Telegraph that a Police barricade comprising a close to a dozen Police officers was erected pass St. Peters College on Duplication road. The Policemen had routinely stopped vehicles assumedly to arrest those Driving Under the Influence of alcohol. However as vehicles approached the human barricade, they witnessed Police officers threatening and assaulting the driver of a vehicle. One person who was in a vehicle behind the one in which the driver was assaulted had proceeded to record the incident, once it proceeded to get violent. Following the assault and threat of the driver the Police had then discovered that they were being caught on camera. According to the driver of the vehicle on which the footage was recorded, four Police officers had thereafter assaulted and threatened the passenger who was recording the footage. “We were terrified by what was happening and we were in no mood to go to the Police or do anything. We just wanted to get home. The police were brutal and took down all our details after assaulting and insisting that the footage be deleted” he told Colombo Telegraph. The initial issue which led to the Police action is unclear. Perhaps the cops are learning from American cops who assault and also shoot under very questionable circumstances African Americans? They are also known to force people to delete videos and “accidentally” turn off their body cameras. Given that the USA is now Sri Lanka’s patron saint perhaps this is commonplace? Sri Lanka Police is by far the best in brutality and torture. Americans Police should attend our Police Academy courses. True. US Police shoots first. Before asking any questions. That used to be a short-coming in our highly incompetent, corrupt Police force. That was why that paranoid US citizen, who used to run security here armed every Cop in SL with a Pistol as well. On the other hand, SL Police does not like to shoot much in public. They prefer to beat up people senseless in stinking Police cells at night. After getting drunk themselves. Ben, I don’t want to argue on Police in SL and USA. To me wherever they are, they just behave the same. But i have much better experience with Police officers in Nordic counties. They are much better and understanding than any of these.. So my conclusion is that police is not an isolated matter. It’s a side-effect of social/moral decay in a country. It is wrong to brand all police as brutal and savage. If you have experience with the British Police, the first thing that strikes you is how gently they handle things.They are polite and treat you with respect given the multicultural nature of the place. Bribery is out of the question as the giver and the taker are bot charged with equal venom. beg to differ. Papua New Guinea Police take the cake as far as brutality, shooting people and total inefficiency are concerned ! With that attitude to grave law & order crimes committed by Sri Lanka Police, you have earned the right to honorary citizenship in Papua New Guniea. Please move there and get your behind whipped by Papua Police. Above all say Thank You Sir! When that in fact happens. There is no need for Sri Lankan police to learn brutality from their American counterparts. Their brutality starts on the very day they start wearing the uniform. Most of them don’t believe in selfless service to the people. For them, the people are there to be used, misused, abused, brutalised, … in many cases a source other income. The stupid people also get used the idea. I am told many honest cops are demoralised because of top officers’ interference and the tendency for them to overrule them for doing ” An Honest Day’s Work For An Honest Day’s Pay”. I am also told Political interference is the worst kind of insult to their uniform. Unfortunately I myself have witnessed police brutality on several occasions. The corrupt police also believe their uniform gives them special powers to be above the law and in many cases impunity. Hey guys, here I dont see nothing wrong – if a driver is on alcohol while travelling should be punished by giving them hardest PUNISHMENT. Even in the US or Germany, they the cops will react merciless. I think the trainings to police should be given by organizing workshops in the developed countries. Diplomatic missions can arrange this. I wish lanken police could learn it from their counterparts. When a lanken team of police got the training, they can then give it further to the others back in home country…. all these should be achieved via diplomatic channels. Where is the assault you alleged? You should not claim such things if you don’t have the proof. This is an argument as I see it and possibly the driver was not co-operating with a lawful request. Have you seen the US police brutality on YouTube? They assault women, kids and old people for just arguing with them and this is nothing like that. If what I see in Sinhala films is how the Sri Lankan police treat suspects, then the brutal police of USA could pick up some tips from them. So, police thuggery/brutality still exists, under ‘yahapalanaya’. Yahahpalanaya is too disciplined , these are done by the Rajapaksas and the gnanasaras……….. In this beautiful country rich will be always rich and the modayas will be always MODAYAS! Another country you can experience the hell and the heaven. Yes it does … but the difference is now you can report it and talk about it in social media. Paddy, you must have led a sheltered life. In USA the social media nor public opinion makes any difference. The police in a majority of cities are totally corrupt and the local judges do not help either as what is foremost on their minds is to get re-elected. The Baltimore report recently published indicated among other things that the black population although 60% was involved in 91% of the traffic stops and their fines contributed a significant sum to the budget. Corruption-wise the Sri Lankan police are second to none. Once I was travelling to Galle with 2 other hefty passengers, in a three-wheeler, rather slowly. Yet, the poor driver was stopped for speeding by a roadside team but he quickly returned after being interrogated. He said he paid an on-the-spot fine of Rs.1000 but he was given no receipts nor any paper work. You have so many details about the “incident” but the initial reason is “unclear”. Bizarre? Or selective reporting? from politicians but today this govt.has given them some respect and they should maintain it in good faith. of the public, instead hand cuff them and take them to the police station for questioning. Must find safer ways to record these incidents. Don’t just stick your phone out in a away that everyone can see. Try to keep it concealed for example in a hand-bag or wrap most of the phone with a handkerchief exposing only the lens. And if forced to delete, try to use a recovery tool to extract the deleted content. Even if you were not beaten, immediately admit to a “government” hospital claiming psychological trauma. Supposing the driver of the vehicle had been pulled up by the police for doing something really unlawful and subsequently the police discovered that he was an MP or Minister, then they most probably would behave differently. They will salute him and probably lick his boots before waving him off! 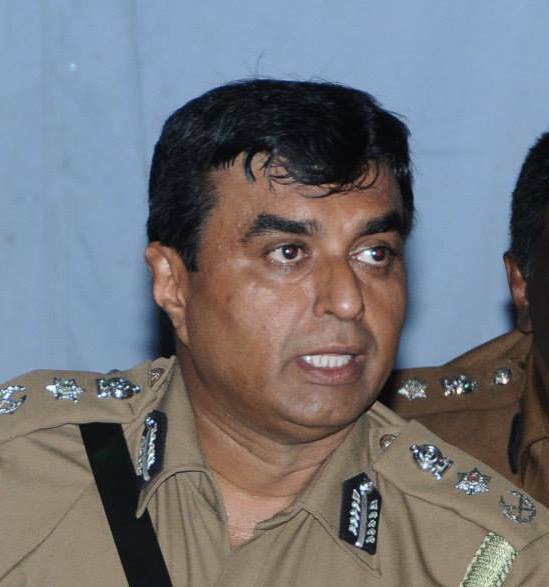 Most of our SL Cops are very unprofessional and behave like thugs wrapped in khaki uniforms. It is always better and safer not to befriend them but to keep a safe distance. If they cannot take advantage of you, they are most likely to turn against you and set you up with possession of drugs or plant a weapon and destroy your future. They are rude, downright cussard, and after a stiff shot they get horny and go crazy. Even they get away with murder like in Embilipiya incident, where innocent young man pushed to his death from second floor of his own home. But the cop who did it, is set free. They are a law unto themselves. Use facebook live stream and other live streaming apps to expose these kinds of incidents like the US citizens! Use it to expose all the criminal activities and clean up Sri Lanka. The power is in the hands of all the citizens of all nations, help keep the system clean so that it works. Use technology to keep the system clean. If the person filming had put it on Facebook live stream the whole world would have seen it, shared it made copies and helped the system take the necessary action against them. Request: Can anyone point to relatively easy to use and more importantly free live streaming app available? On my last trip to Jaffna, I took a left turn in Jaffna town. The police stopped me, asked me for my license and proceeded to write a ticket. I didn’t know what was the offence. I asked him what’s wrong, he said I took left turn but no left turn allowed. I was shocked Becsuse didn’t see any ‘no left turn signal post’. I asked him where does it say, no left turn. He took me to the junction to show the post and realised ‘no left turn’ sign is missing. It must have fallen or somebody must have taken it. He still proceeded to write the ticket. I told him, how am I supposed to know no left turn if the sign is missing. He said everybody knows this in Jaffna. I said as you can see from my license its not a Sri Lankan license and I am on a visit and I I can’t possibly know about this. The police didn’t agree with me. And by the time lots of onlookers gathered around us. I told him , you are here to enforce the traffic rules. You are not here to make the rule. If ‘no left turn ‘ sign is missing, it means left turn is allowed. Now you are making your own rules. I told him, Without arguing with me, you should immidiately make appropriate measures to install the sign. The police didn’t speak English much but he was yelling at me. Eventually police backed off when onlookers reasoned with the police in Sinhala. In my experience police in Sri Lanka are not professional, at least the ones I encountered. To be fair and to be a bit critical of the emotive language used by CT, I did not see the police going ‘berserk’ in the video. But that is not to say that the police in Sri Lanka are civilised. In the contrary they have a well documented legacy of brutality and corruption at all levels. i saw this incident happening. there was a big commotion happening with the police and the car in the video. for what reason i dont know. then the police just ran to the car behind it and started screaming in filth and trying to grab at the person in the person in the backseat. i didnt know what was going on, but when i put my shutter down i heard that he had recorded the scene and the police were being veyr abusive verbally and almost physically because he didnt get out of the car. it was a disgusting site to see police behave like this in uniforms. if they want civilians to respect their badge and uniform, they have to treat us with respect too. and there was no respect in the way they were handling the people in the both cars, regardless of what they did. i hope this goes to the higher ups and some action is taken against these kind of behaviurs of these thugs in khaki. This is the typical behaviour of most of the police officers when they are in that khaki uniform. This is up to the IGP to investigate if there was any unruly behaviour by the police, and if so, to take the appropriate action. IGP, you seem to talk tough, awaiting to see if you walk the talk or not. In the audio doesn’t The driver accept he is drunk?? I think the problem stems from the fact that in Sri Lanka the Cops are not taught what appropriate response means. Very often its indifference or an overreaction. Every situation has its dynamic .What we need to do is teach situation assessment. Why dont we have a fully functional Community Policing programme here.Do the Cops always have to carry guns or Sticks. Put them in the community with Tee shits and Bicycles and they will move closer to the community. By the way the Khaki color is very colonial and gives military overtones.Just give all blue and white uniforms like the BRIT cops and see the difference. there is a long journey before turning their mind sets to good. ALMOST every 2nd of all communities are high abusive minded. They are pro corrupt than anti… please go for an opinion poll to clear your doubts. We cant compare Germanys, or UK s standards with those of our easy targets who make up 70% of the population. They are just gullible and easily manipulative for even a free rice packet. Free selredi. Free anything. Now Bambalapitiya police will be taught not to play rough but subvert the law cunningly and convict people, and bend the law as they wish according to what has changed hands. An expert in this field has taken over as OIC from a few days back.